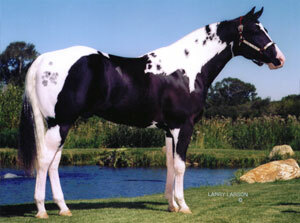 One breed, the American Paint Horse has been developed around the pinto pattern. 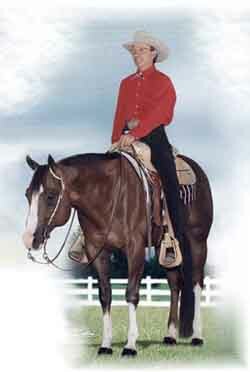 The breed consists of paint horses with a distinctive stock-horse type conformation, like the Quarter Horse. Also like the Quarter Horse they are athletic and with an agreeable disposition. The American Paint Horse Association (APHA) is the second largest breed registry in the United States (based on the number of horses registered annually). To be eligible for registry with the APHA, the sire and dam must be registered with the APHA, the American Quarter Horse Association (AQHA) or the Jockey Club (Thoroughbreds), with at least one parent a registered American Paint Horse. Until recently the American Paint Horse Association was the place where quarter horse breeders could register their horses with white too excessive to be accepted by AQHA. Although the American Paint Horse Association is thought of as the registry for pinto horses it also, and controversially, allows registration of horses which are actually solid or nearly so, the so called "spotless Paints". This allows the registration as Paints of most Quarter Horse bred horses which, until recently, were considered to have too much white to be registered as Quarter Horses. Most of these "crop-out" Quarter Horses just have excessive leg and/or face markings, but many also have world-class breeding with excellent conformation, temperament and talent. To read the AQHA registration rules one could come away with the idea that they are as undesirable as horses with serious genetic defects! Even now the registration certificates of such horses must bear the words: "This horse has white markings designated under AQHA rules as an undesirable trait and uncharacteristic of the breed”. But for one or two alleles in about 60,000 (0.0017-0.0033%) these horses are the same as any other quarter horses and may well have a more ideal conformation than some solid quarter horses. The money invested to produce them is usually high and their owners are rightly proud them - regardless of their “excessive” white – and they want to show and breed from them. Opponents of this policy argue that allowing minimally-marked Quarter Horse cropouts and solid horses produced within the American Paint Horse breed erodes the original purpose of the APHA (i.e. producing and promoting obviously pinto horses). They have a point, but I hope these people also support the registration of such horses of Quarter Horse descent by AQHA. In defence of allowing such horses two main arguments are often used. Firstly it is argued that it discourages breeders from concentrating too much on producing pattern to the detriment of conformation, ability and temperament, and that many minimally marked paint bred horses may well possess superior quality in these other ways. In addition minimal paint horses can go on to produce exceptionally well marked paint foals (this is not true of solids who’ve not inherited paint genes from their paint parents). Secondly it is argued that it saves the lives of solid or nearly solid foals that might otherwise be killed because of their lack of color. I’m sure that these arguments are not presented without some evidence, but it is sad to think that any breeders could be so shallow or outright callous. I hope that now AQHA accepts white markings these problems will be alleviated. Perhaps they will eventually be seen as out of date, when AQHA eventually removes the stigma from quarter horses with white markings. Please note that except where otherwise stated the opinions expressed here are my own. I am a geneticist and see things very much from a biological point of view. I acknowledge that breeds are essentially artificial groupings that, in most cases, would not have evolved naturally. Breed characteristics are, therefore, necessarily subject to the opinions (and whims!) of those in the position to define them. 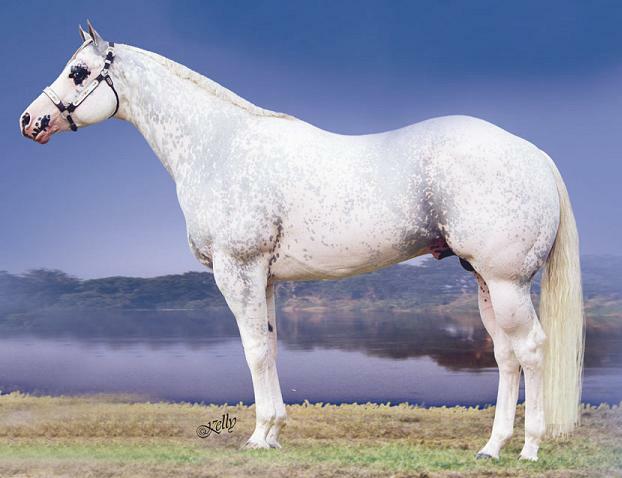 Sabino is one of the causes of American Paint Horse "crop-outs"